The Human Settlements and Environment Program of TAO-Pilipinas, Inc. is looking for a program staff who will be tasked to do design development and construction supervision of evacuation center and small infrastructures. The project areas are in Rodriguez, Taytay, San Mateo, Navotas, and Quezon City. Submit and follow-up release of applications for necessary permits for the construction and occupancy/use of the infrastructure. 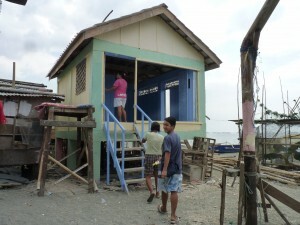 Supervise project construction in coordination with the local community. Ensure that delivery of outputs is according to specifications and approved time table. Consult the HSE Program Director on matters requiring decisions to implement changes in construction projects. 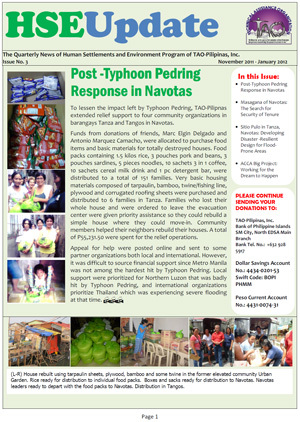 The 1st issue of HSE Update is now out. 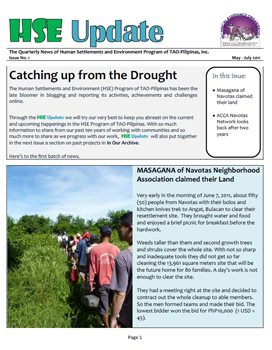 HSE Update is the quarterly e-newsletter of the Human Settlements and Environment Program. 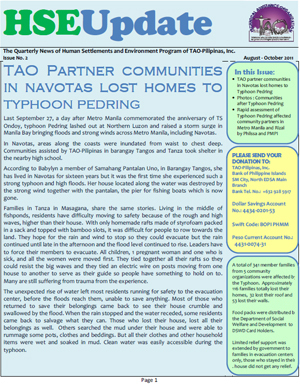 This e-newsletter will give updates about activities and projects being done by the Human Settlements and Environment Program. To view and download HSE Update, please click here.